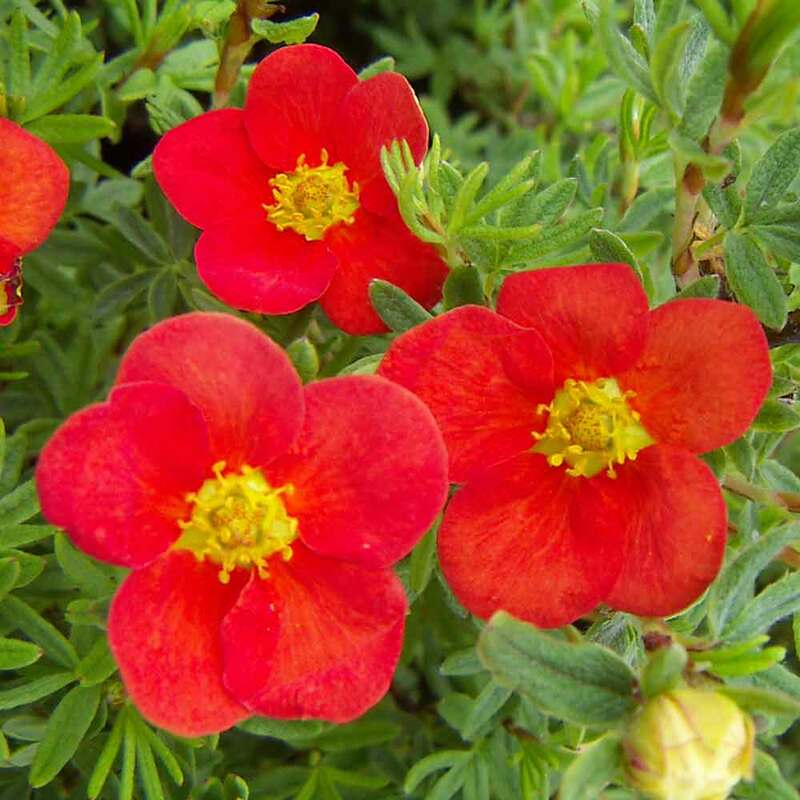 Potentilla Red Ace (Shrubby Cinquefoil) is a bright and cheerful shrub which produces poppy red free flowering single blooms from as early as May until late September. Yellow discs at the centre of each flower add a pop of colour, while the mid green backdrop of foliage allows the flowers to really stand out. 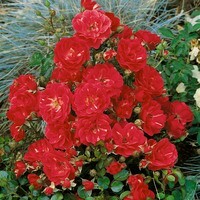 Red Ace is an extremely low maintenance shrub which is rarely the target of pests or disease. It will lose all of its leaves in winter and will look really fresh the following year with all the new growth. 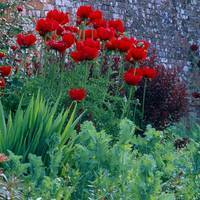 They are fully hardy and look great as part of a mixed border. Height and spread 60-90cm. 15-20cm tall plant, supplied in a 9cm pot. 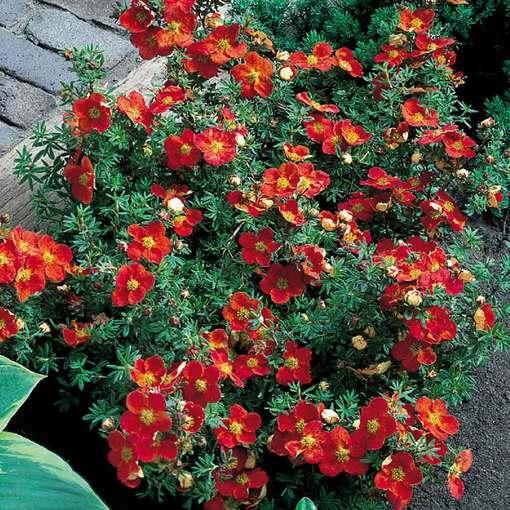 Potentilla shrubs are an easy subject to grow. For best results they should be planted in a sunny location, in light (well drained) soil. 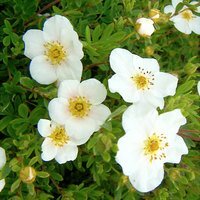 Light pruning can be done in March, but is often not necessary for Potentilla. A fantastic choice for borders, or rockeries.